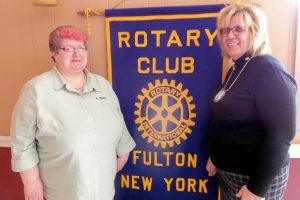 FULTON – Susan Pope, disaster services coordinator for the Central New York Chapter of the American Red Cross, told the Fulton Rotary Club about the chapter’s services for residents of five counties. Rotary President Helen Hoefer welcomes Susan Pope, left. The CNY Chapter serves the community through five service areas: disaster relief, biomedical, preparedness and health and safety services, international, and services to armed forces. The Red Cross mission is to prevent and alleviate suffering in the face of emergency, which it does through its many volunteers and donations. 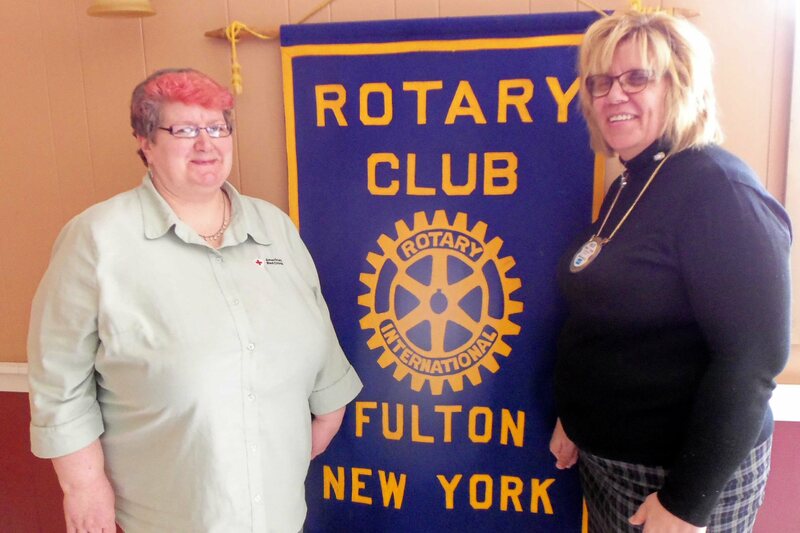 The Fulton Rotary Club meets Thursdays at noon at the Tavern on the Lock.